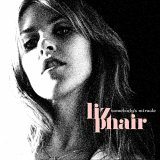 Since releasing Exile in Guyville — her critically lauded outing from 1993, which arguably also is quite overrated — Liz Phair has struggled for direction. Once the queen of indie-rock bohemians, she most recently tried her hand at appealing to a younger crowd with a self-titled release that made her sound quite regrettably like Avril Lavigne. On her latest effort Somebody’s Miracle, Phair once again is on the move. Demonstrating levels of grace, poise, and maturity that bring her closer to Aimee Mann’s realm, Phair delivers a collection of smart pop-rock tunes that are sung from the perspective of a nearly 40-year-old mom. In fact, the first six tracks on Somebody’s Miracle very well may be the best tunes she has ever penned. These catchy songs, which include the solid Leap of Innocence and the sassy Got My Own Thing, are hook-filled and memorable pleasures. Phair’s distinctive vocals sound terrific, and her lyrics are generally clever and insightful, particularly on Stars and Planets as well as the title cut, which finds her staring in amazement at couples who are able to sustain their love for one another over the long haul. Unfortunately, as Phair moves into the latter half of Somebody’s Miracle, things go downhill in a hurry. Everything to Me suffers from a poorly-written chorus that recalls Sheryl Crow at her absolute worst. Why I Lie contains some impressive Rolling Stones-inspired guitars, but the rest of the song doesn’t rise to the challenge. Sparse acoustic ballads such as Closer to You and Table for One make for bland listening experiences, and when Phair chooses to rock on Lost Tonight, it just doesn’t stack up to the album’s exhilarating opening. Somebody's Miracle is available from Barnes & Noble.